As we meet with clients, these are some of the most common questions we answer. Keep in mind, this is for Washington State residents only. Also some of the counties in Washington have different policies. We practice primarily in King and Snohomish Counties. Our clients primarily live in the Eastside cities of Bellevue, Kirkland, Issaquah, Woodinville, Bothell, Mill Creek and Sammamish, although we do see many Seattle residents. 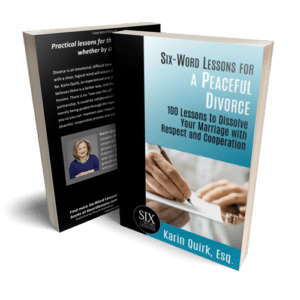 1 – I hear about uncontested divorce, what does that mean? Technically there is no such specific action as an uncontested divorce. All divorces are considered a lawsuit with a Petitioner and a Respondent. A couple may agree to a divorce and agree on all the issues, but in the court file it looks the same as a so-called contested divorce. In our office, we work very hard to make all our cases co-operative and avoid court whenever possible, we don’t divide cases up as contested or uncontested. Online promotions offer a special price for uncontested divorce, know this is merely a marketing term and is not an actual description of a case type. The divorce is not final on the 91st day unless one of the parties specifically does something like enter a court order. Some of our cases are resolved very quickly and some have taken over a year. Each case is different. 2 – Do we have to wait for the house to be sold before we can finalize a divorce? No, it is quite common for a couple to finalize a divorce before they have sold the house. It is important to state very specifically what is to happen to the house and how the proceeds will be divided. 3 – My spouse does not live in this state, can I still get a divorce here? Yes, you can dissolve the marriage in Washington if you are living here. Property and support issues get a little more complex, and you will want to consult with a lawyer on your individual circumstances if your spouse does not live here. 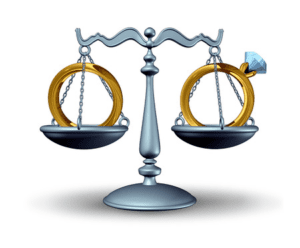 4 – Is it true that all my assets will be frozen while the divorce is pending? This is a very common concern and it is not true. In some circumstances, one of the spouse’s attorneys will ask for temporary financial restraints. 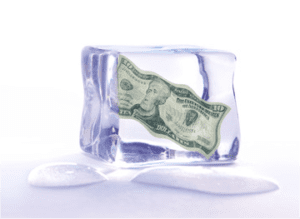 These do not freeze the assets but are designed to prevent a spouse from transferring or hiding assets. Day to day business can still be conducted and the parties can agree on other financial transactions. 5 – Do I have to have a lawyer? Trick question! Many couples do complete their own divorce but it is always advisable to at least consult with an attorney to see if you are missing anything. The court forms can be very confusing and a consultation with a lawyer can save you a lot of time. Most lawyers, our firm included, offer consulting services that can save you a lot of time and money and inform you of unforeseen issues. It is worth a consult fee. We offer legal coaching at a very reasonable fee.